Student loans have more than doubled in the five years between 2006 and 2011. Which means a growth rate of about 15 percent per year. 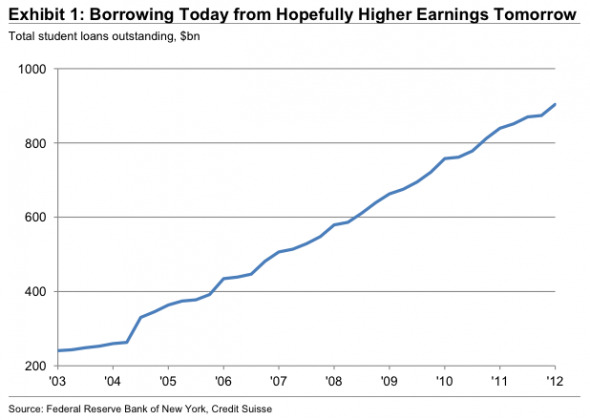 With this growth rate total student loans are set to reach one trillion dollars very soon. I feel very happy to see this great work, you made it nicely keep share.